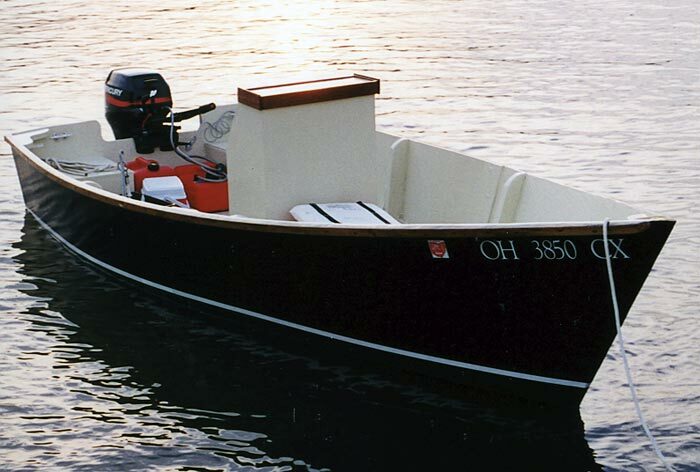 BLACKFIN is a Pilgrim Pride 16 center console skiff designed by Paul Bennett of Shoe String Shipyard. Brothers Michael and David Hitt built it at David's home in Annapolis, MD, and launched BLACKFIN in October of 2001. The construction is of epoxy-covered plywood. Propulsion comes from a15 HP Mercury engine as the boat is used on the Ohio River near Michael's home in Cincinnati, OH.